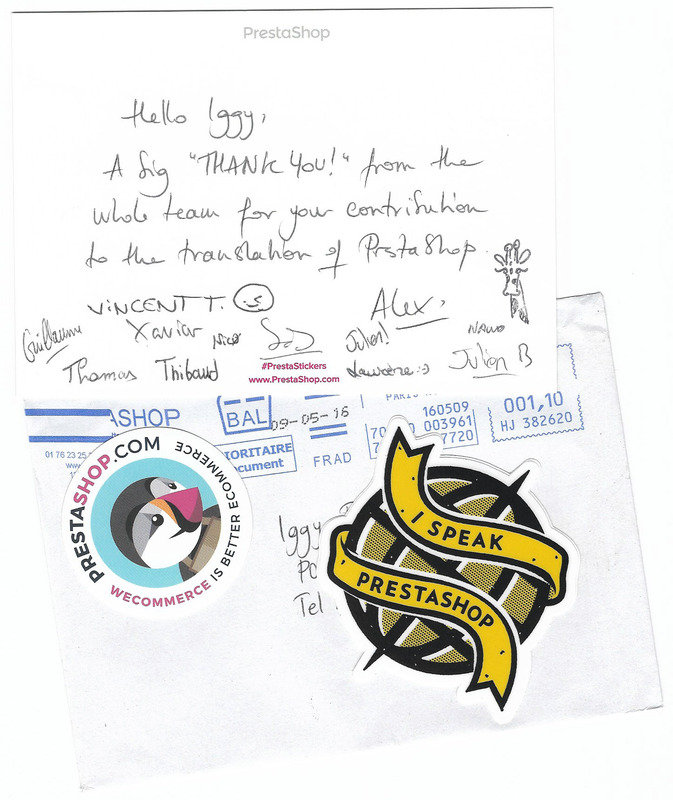 Finally got a letter from Prestashop developers. They promised to send it many months ago for my help with the Hebrew translation of Prestashop. I thought there will be some mug and/or a t-shirt, but only stickers… Anyway it’s cute 🙂 I’ve been thinking where to put these stickers ever since.